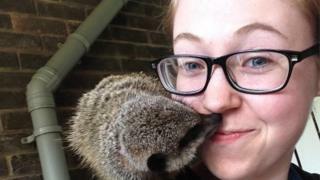 Greater Manchester Police (GMP) has referred its handling of a missing student case to the police watchdog after she was found dead in a park. Ellen Higginbottom was found stabbed at Orrell Water Park in Wigan on 17 June. A 51-year-old man from Preston has been charged with her murder. The Independent Police Complaints Commission (IPCC) will investigate GMP's response after Ellen's family reported her missing the evening before she was found. The watchdog said all officers were being treated as witnesses. Ellen had been reported missing by her family at 19:20 BST on Friday after failing to return home from college. Police found her body at about 02:30 BST on Saturday 17 June following a search. It is mandatory for a police force to refer themselves to the IPCC when a missing person case results in death or serious injury, the IPCC said.